So, you have a party and some clever person drops their cigarette on your brand new built-in-carpet and it burns a hole in the carpet. 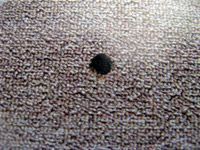 Don't stress, as long as you still have an extra piece of the carpet lying around somewhere, you can easily repair the burn mark. Begin by cutting out the burnt area. Try and cut between the pile so that cutting the weave of the carpet is minimized. Try and keep the cutting out of the burn mark as small as possible. When cutting, do not press down with the carpenter knife too hard or you will cut right through the underfelt of the carpet. You only want to cut the carpet away as the underfelt will be the link between the carpet and the patch. 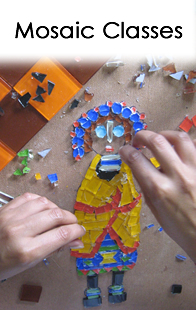 Cut the patch out of the offcut and ensure that it follows the same plane as the area to be repaired. If you look closely, you will see how the pile follows identifiable lines. If you have a patterned carpet, ensure you match the patch to the pattern. 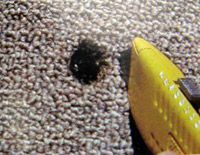 When cutting the patch, cut it slightly larger than the piece you just cut out of the carpet and carefully trim away any loose threads. Dry fit the patch, trimming it a little if necessary until it fits nicely. Once it fits nicely, take it out and apply the contact adhesive glue to the underfelt and under the patch. Allow the glue to cure first according to the glue manufacturers instructions before putting the patch into the hole. Press the patch into place now and trim off any loose strands that may still be visible. 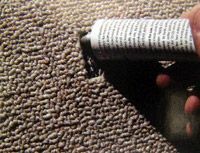 Place some heavy books over the patched area and leave it for a few hours so that the glue can dry nicely. After a couple of hours remove the books from the patch and the carpet will look good as new. Using the tip of the blade you can now tease the edges of the cuts so that they blend the join. Now your carpet looks as if it had never been burnt!